While the USB-C connector type has a lot of advantages and it’s now guaranteed with Intel’s full support at being the dominant peripheral format for the next many years, there’s still a lot of confusion about the difference between USB-C and Thunderbolt 3. 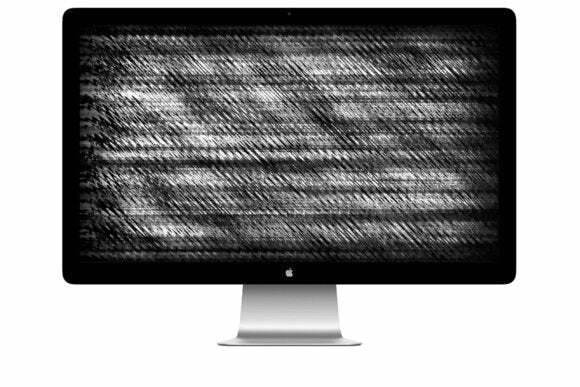 That comes up in an email from Simon Shaw, who can connect his 24-inch Apple Cinema Display to a 12-inch MacBook (2016 release) using a Mini DisplayPort to USB-C, but finds his 27-inch Apple Thunderbolt Display doesn’t have a solution. It probably seems even more arbitrary when MacBook Air models dating to 2011, including the ones still on sale, can work with both Cinema Displays and Thunderbolt Displays with no problem. A Thunderbolt-only monitor can only work with a Mac with Thunderbolt built in, no matter the kind of port on the Mac. A DisplayPort-only monitor can work through backwards compatibility, which might require an adapter, with a Thunderbolt-equipped Mac of any vintage. DisplayPort is a video standard that also has a couple of connector types: full-sized DisplayPort and Mini DisplayPort. You can also typically use an HDMI-to-DisplayPort cable for connections as well. The Apple Cinema displays push DisplayPort (the video data specification) natively over DisplayPort (the hardware port specification). Finally, USB-C is a general hardware port type for peripherals, which is designed to work with bus controllers—the hardware that handles traffic over the port—that can have varying capabilities. Some computers and phones will only support USB 2 and 3 and DisplayPort. That’s true of the 2015 and later 12-inch MacBooks. Other computers will sport 40Gbps Thunderbolt 3 in their controllers, alongside backwards compatibility and interoperability with Thunderbolt 2, USB 2 and 3, DisplayPort, ethernet, and other standards. That’s the case with 2016 MacBook Pros and 2017 iMacs. Because the MacBook only handles USB and DisplayPort over its USB-C port, it can’t interact with a Thunderbolt-only monitor, because that monitor requires a Thunderbolt controller to unpack the DisplayPort video data. 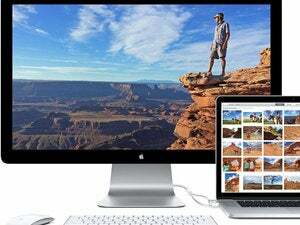 However, because the MacBook Pro and iMac models with Thunderbolt 3 can read Thunderbolt 2 signals, the use of a simple Thunderbolt 2 to Thunderbolt 3 adapter allows these Macs to push video to a Thunderbolt Display.